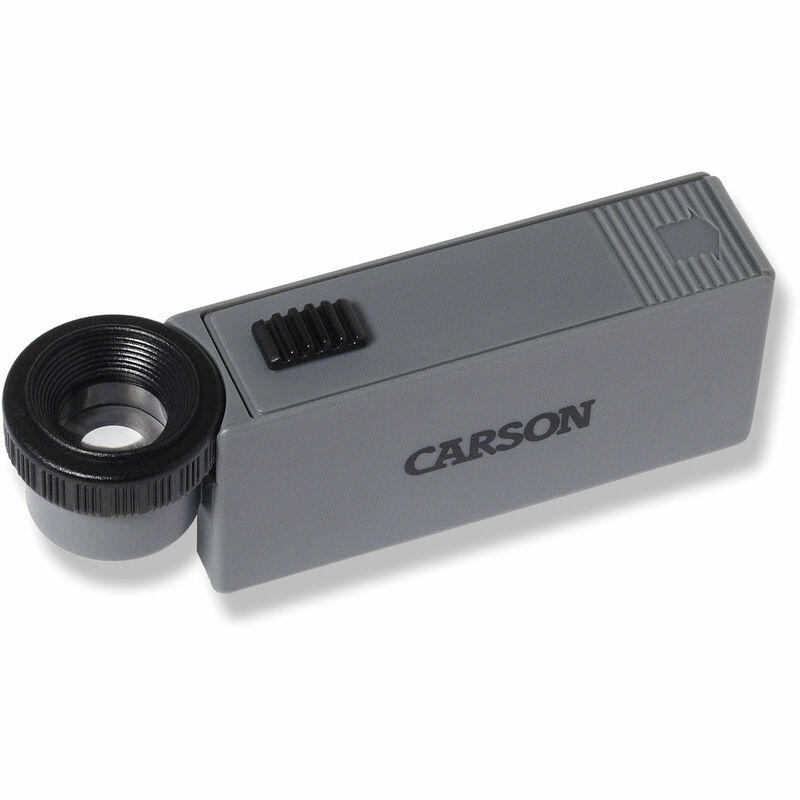 The ML-15 11x MicroMag Magnifier from Carson Optical is a focusable loupe that can be used for reading the smallest detail. The powerful 11x magnification is complemented by LED illumination that works well in low light venues. This is a lightweight, compact magnifier that is small enough to toss in your bag of even in your pocket. Box Dimensions (LxWxH) 3.7 x 1.4 x 1.1"
ML-15 11x MicroMag Magnifier is rated 5.0 out of 5 by 1. Rated 5 out of 5 by Anonymous from Great little magnifier! It works great magnifying a tiny Serial Number or the tiny print stamped on little electronic components. The light really makes a difference in being able to read the tiny tiny micro-print through the magnifier.